Ticket punch for badges, sticker, tickets. 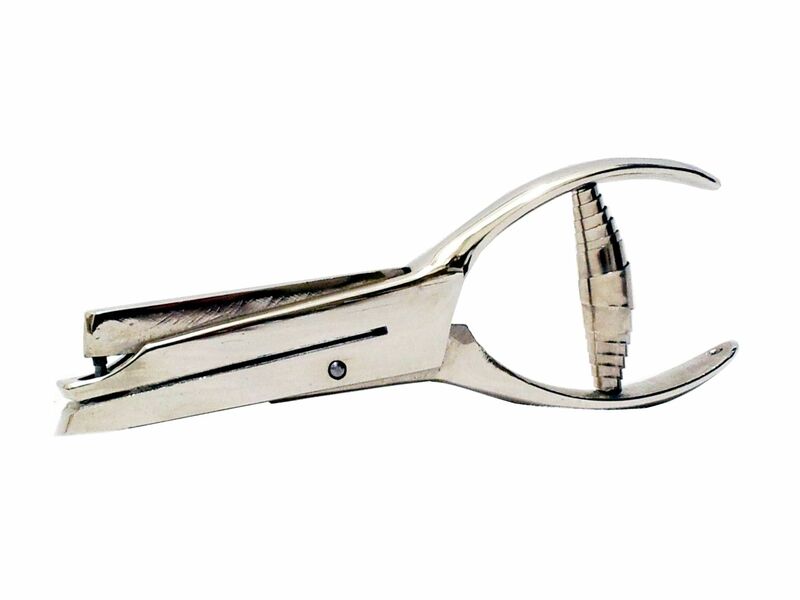 Ticket-punch pliers are special pliers to validate tickets, cancel a voucher or mark similar products like identity card, cheque card, badge and so on. Laminated identity cards can be validated with our pliers as well. 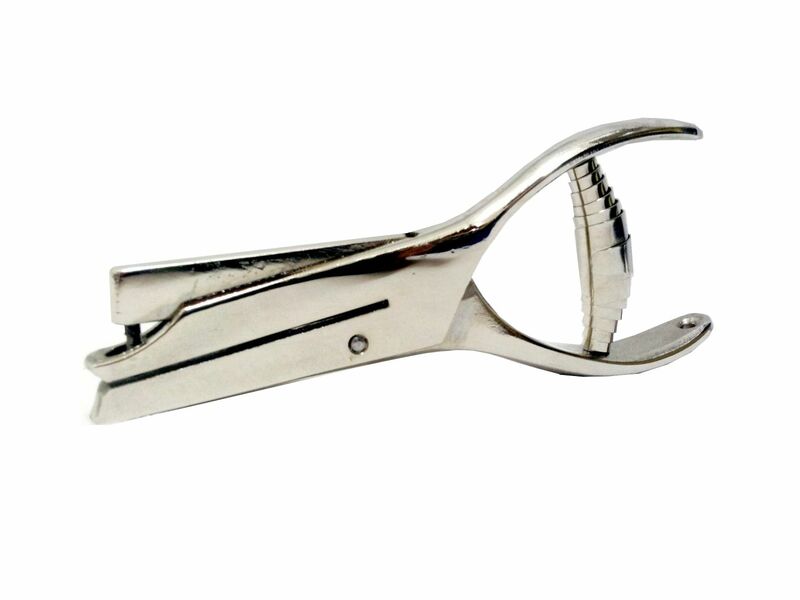 Our hand ticket punches are heavy nickel plated pliers with a high durability. The steel die made with extreme accuracy is of hardened steel fits perfectly with the hard steel pivot pin for clear cuttings. An easy action spring opens the plier again after every use. In our range, you will find 6 different models with different throat depth ranging from a maximum of 25 to 75 mm. Our standard pliers are supplied with a round hole in 3 mm diameter, 2, 4 and 5 mm are also available off-the-shelf. 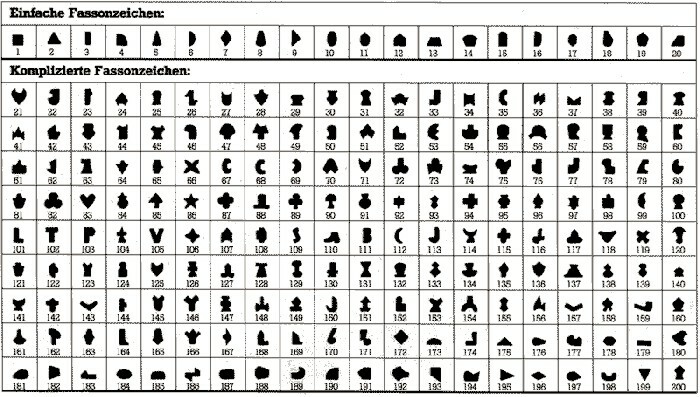 Beside the standardized round hole, we offer a large range of punch styles from stock, even a larger number of styles (more than 1.000) are available on request. Our ticket punches are available in 6 different variations, pattern notched pliers in 3 different models. The main difference is the length and – more important – the throat depth. Please visit our detailed product information to find the plier which meets your requirements best! In contrast to our ticket punch, pattern notcher pliers have no throat depth. The mark is punched at the very edge of the ticket. 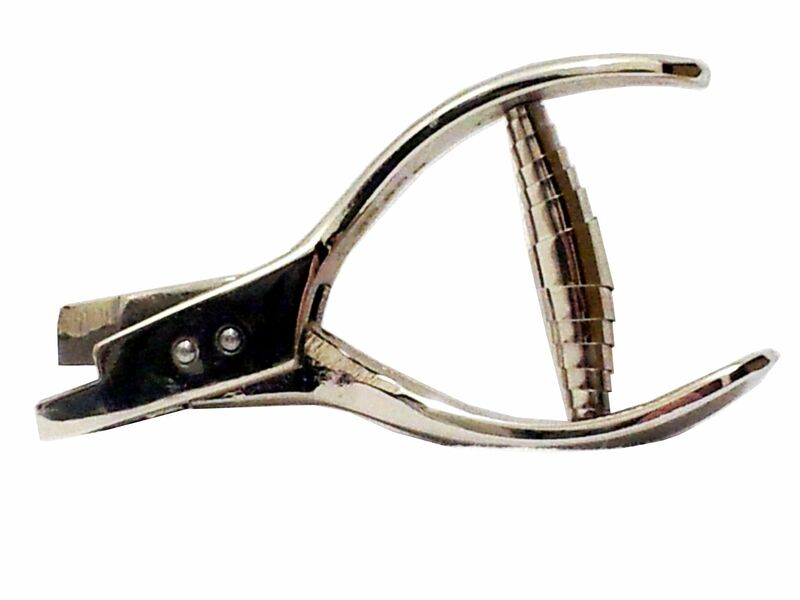 These pliers are most suitable for cancelling vouchers, which have an imprint at the edge. In addition, pattern notch pliers are the only manual pliers suitablef for plastic cards, credit cards etc.